Building your own app with Swiftic is an easy and exciting process. Our user-friendly platform combined with tons of useful features and awesome promotional tools are all you need to craft a professional and customer engaging app. And don't worry—we're here to help you every step of the way! Your app journey begins with 3 easy steps: name your app, add existing content from your Facebook page or website (optional), and choose an app category. selection of 25+ features. Help your customers easily contact you, and enlighten them about your business and your quality products or services. Our money-making features allow your customers to shop directly through your app's Store or entice them to visit your business with Scratch Cards, Loyalty Cards, or Coupons, and more! For a general overview of all our features and tools, click here. Learn more about adding any particular feature here. Perfectly complement your app features by personalizing your theme, color scheme, navigation layout, and background images. Learn more about customizing the look and feel of your app here. When you're ready to share your app with the world, purchase your Swiftic app plan and submit your app to the Google Play store and the Apple App Store. Our experienced submission team will gladly handle the entire submission process to smoothly get the app on the stores and into your customers' hands. 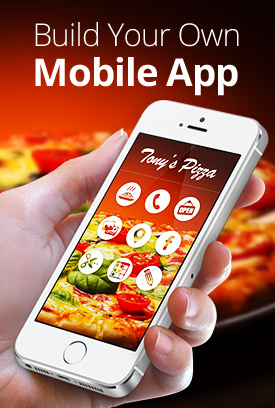 Promote your app to attract new users and customers and to successfully promote your business. Benefit from our array of effective promotional tools, including promotional emails, banners, storefront stickers, QR stickers, and more. Our advanced analytics help you measure your app's growth and progress. For example, you can see how many customers are downloading your app and which features your customers find most engaging. You can gain valuable insight to improve your app's functionality as well as your customer's experience. Learn how to generate your analytics report here.